Kayaking is a great way to get outside and enjoy the fresh air that nature can provide. It is personally one of my favorite ways of getting exercise and refreshing my mind after what could be a stressful week. Unfortunately figuring out what to wear when kayaking can get a bit over complicated because of various different conditions and circumstances. What I will say is a great rule of thumb is dress as if you are about to go overboard! A good way to understand what you need to wear is figuring out what the water temperature will be and dressing accordingly (we will get to that in a second). NOAA (National Centers for Environmental Information) provides you with what the average water temperature in your area is. The second step is to find out what the air temperature, and weather is. You can look at any weather websites for information on this. More times than not this won’t happen but this one bit of criteria really helps you understand what you need to wear and bring with you just in case. Do not wear anything cotton! Cotton absorbs water so if you take a spill in the water you will be surrounded by wet and damp clothing that will make you feel more cold for longer. Cotton absorbs more than 27 times its own weight in water and takes a long time to dry which is not good for your body due to the fact you are colder for a longer period of time. Instead look for quick drying fabric such as synthetic fiber, polyester or quick drying nylon. These materials do not absorb nearly as much water as cotton and can be the difference between getting hypothermia and staying dry. Kayaking requires different layers for different water and weather conditions so here is a list of clothing that is available to kayakers and what conditions they are used for. Wetsuit vs Drysuit for Kayaking. I will not go too much into this in this article but we did a separate article on wetsuits vs drysuits. I will share a good video on this topic below. Kayak Drysuits are made for colder weather conditions like cold water surf, rapids or really rainy days. They are made to keep you completely insulated from water should you flip your kayak over. Drysuits are usually in the form of a full body suit (think like a racing suit but waterproof) that consists of a waistband, jacket and leggings. These suits provide ample protection from water but are not insulated so you may have to wear a fleece or a drysuit liner to keep you warm. long underwear, drysuit liner and a thick fleece for colder conditions. For warmer conditions you can stick to the drysuit liner and dysuit with your PFD. Waterproof shoes and socks, toque and gloves are also highly recommended for colder conditions. Often times people get wetsuits and drysuits mixed up but their name is what it entails really. Kayak Wetsuits do not keep water out like drysuits, rather they absorb water so that a thin layer is trapped next to you skin that is eventually warmed by your body temperature. They are more commonly used by surfers and scuba divers and come in different varieties. Some are full body, some are sleeveless, some include only a top or bottom layer and some do not include sleeves or pant legs. Generally you will not need a full body wetsuit for kayaking but instead a sleeveless one. This is because fully sleeved wetsuits are often quite restrictive in nature, especially when doing a paddling motion constantly. Which one you choose ultimately depends on what kind of kayaking you are doing, how cold the water temperature is and what style is most comfortable to you. A kayak wetsuit is geared more towards more manageable weather that is present in the spring and fall time where the temperature is mild and the water temperature may still be cool. Usually all you need is a swimsuit underneath. Wetsuits come in a wide variety of different variations and thicknesses so choose one which best corresponds to the water conditions you are paddling in. Other accessories include a PFD, water shoes with neoprene socks, hats, sunscreen and polarised sunglasses to reduce the glare of the water if it is sunny out. Typically when you go this route the water and air temperature is warm enough to not worry about hypothermia and you will be paddling closer to shore. When choosing other kayak clothing options you have a wide variety of different options to choose from. They can range from swim shorts, kayaking shorts, kayak pants, rash guards. A light Fleece (that is not cotton) and a rain jacket should be packed just in case of changing conditions. I know in B.C. this is always the case so we make sure we pack for rain. Recreational Kayaking is usually done in calmer waters like lakes or bays and is typically done in the summertime This category includes sit on top, fishing and recreational kayaks that you own or kayaks that you may rent from a rental shop. Typically you use these types of kayaks in warmer conditions like the summertime and the outfit is usually pretty basic because they are more stable in simple flat water conditions. Typically when you go this route the water and air temperature is warm enough to not worry about hypothermia and you will be paddling closer to shore. When choosing other kayak clothing options you have a wide variety of different options to choose from. 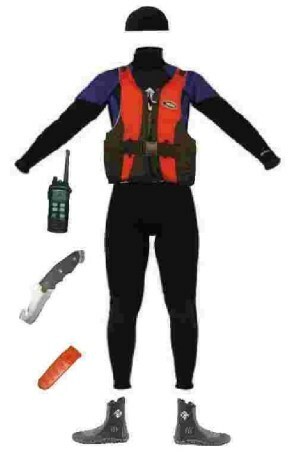 They can range from swim shorts, kayaking shorts, kayak pants, rash guards and of course a PFD (Life Vest). Even though Recreational kayaks are different beasts from Sea Kayaks you should be prepared in the same way. In warmer conditions (65- 55 F) You can wear a wetsuit. In colder conditions (55 F and Below)you should wear a drysuit with it’s proper components. Find out more about Kayaking in Cool Weather below. Sea Kayaking is the next step in terms of natural kayaking progression. As a result your preparation takes that next step as well because you can cover a greater distance in a shorter period of time with these kayaks. You are also able to paddle through more difficult water conditions which heightens the danger of you flipping your kayak. Being prepared includes knowing what to do when your sea kayak flips over and dressing for the worst case scenario. Sea Kayakers are often a more passionate kayaking group so as a result they tend to paddle in all sorts of different weather conditions. From Summer, Fall, Spring and Winter, chances are if there is water out you will see a sea kayaker out and about. When using a sea kayak in the summer dress for the water temperature not the air temperature even if you are not planning on swimming. If the water is warm like the air temperature then there is not a ton of preparation you need to do. At this point you are mostly planning on protecting yourself from the sun so bring lots of sunscreen, wear a hat and sunglasses to keep the glare off of you face when you are in the water. A light long sleeve shirt and surf/ board shorts do the trick as well as water shoes and sandals and a PFD of course. If the water is a colder temperature but the air temperature is still warm this is where things get a bit more tricky. I would first recommend a spray skirt as this will keep drips of cold water out of your kayak completely. In these conditions I would recommend wearing a rash guard or a wetsuit. If it is too hot for this then you can still wear shorts but be sure that you are close to shore incase you capsize. In colder conditions I reccomend that you gear closer towards a winter setup. Use Wet suits in calmer conditions and dry suits in conditions where the water is less predictable like surf, rapids or bad weather type of conditions. Kayaking in the Winter can be truly magnificent but can be very dangerous if you are not prepared with the proper safety protocol. It can be even more dangerous if you are not wearing the right gear for the job. Layering is crucial as you will need to use a drysuit setup to protect yourself from the cold water and the colder outside temperature you will be encountering. What I will say about drysuits is that they do not provide a heck of a lot of insulation so make sure to have a fleece or a drysuit liner underneath to insure that you are fully insulated. If you are whitewater kayaking chances are the water will be cold because more times than not it will be a river flowing down from the mountains. Whitewater kayaking is a sport that needs more training and experience than any other kayaking related activity so the first step would be to do some white water kayaking courses. If you are well versed in whitewater kayaking and you want your own gear you will need to suit up with at least the gear below. Why is it Important to Wear a PFD when Kayaking? For any circumstance that you are kayaking I highly recommend that you wear a PFD. I don’t mean in the sense where you throw it in the cockpit and just forget about it. I mean actually wearing it! A study was done that drowning accounted for 70% of boating fatalities and that 86% could of easily been avoided by simply wearing a PFD or life jacket . The statistics went onto state that the drowning fraction was higher for smaller vessels such as kayaks and paddle boards. I won’t go to much into PFD’s in this article as we have PFD’s for kayaking and PFD’s for Paddle Boarding related articles that go into much more detail about these important topics. 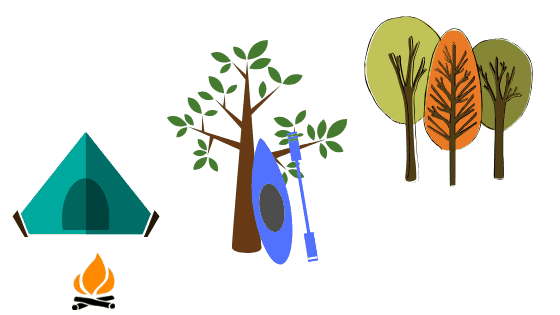 What to Pack for Kayak Camping Gear? All of the topics we have covered so far have been about what to wear for day trips. What about Multi -Day trips? What do you wear for those trips and what are you bringing with you? This all depends on where you are going, what the air and water temperature is and for how long. 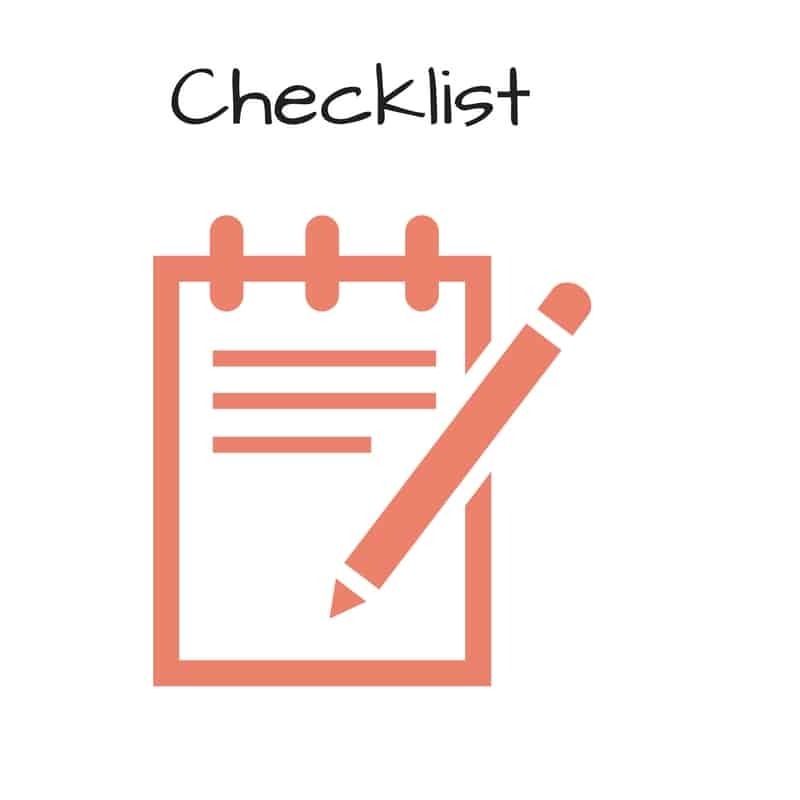 Here is a basic checklist for clothing that you can follow along with. I recently wrote a Guest Post on Natpacker about the Complete Multi Day Kayaking Adventure Checklist for a more indepth look at what you can bring on a multi day kayaking adventure. When kayaking it is important to be able to choose the right attire before heading out on the water. Here are some simple steps to do so. Get Paddling and be safe!